SAP is the best management issue to apply in a company. I have work with similar applications but they haven't such as applications like SAP. The best part of the program is the possibility of take the control of the hole process of a sale. For example, the salesman can make an order to the provider, and the rest of the company can see what exactly he did. You can personalize SAP with thousands of characteristics that interest you and your company. I have found a few things which can be adapted in SAP and improve the user experience. There are a lot of icons that are not intuitive. During these years I realize that many web pages, working programs... have the same appearance. They look like really similar, because the user has been habituated to them. The price can be a problem at the moment that you are considering to install SAP in your company, but it can improve the work time of your employees. All things can be correctly saved, you can share information... This application worth it, if you are trying to expand and make it bigger your company. With SAP we can track the deliveries from the first part until the end, when we ship to the customers. Actually, you can save all the information about a product. Attach plannings, prices. "A complicated program, but the best system we have"
I like that once you learn the language of this program, it gets easier to use it over time. Mostly the reporting and purchase order creation are the features that I use; they were fairly complicated to learn, but now that I have used the product for over 2 years, I can get both tasks done very quickly. It was very hard to learn, and most folks are scared by it! I think because it is reminiscent of how old computer programs used to work; having to put in commands, etc. Be sure to offer EXTENSIVE training on SAP. And do not count on just one person knowing how to do anything; very quickly, their job will become them being an SAP trainer only, and that is just not sustainable. I would also say, spend the money and go ahead and have the SAP folks tailor your user experience. That way if you are switching over to this program, you won't have as many hiccups. I would not be able to do my job without the ability to write purchase orders quickly and efficiently; sometimes I write 10 in one day. In any other program, that might take me a full 8 hours, but I can do it in about 2 on SAP. There is a also a benefit to being able to look up everything in the system; it can give you a broader view of what kind of purchase your whole group or even entire company is making. 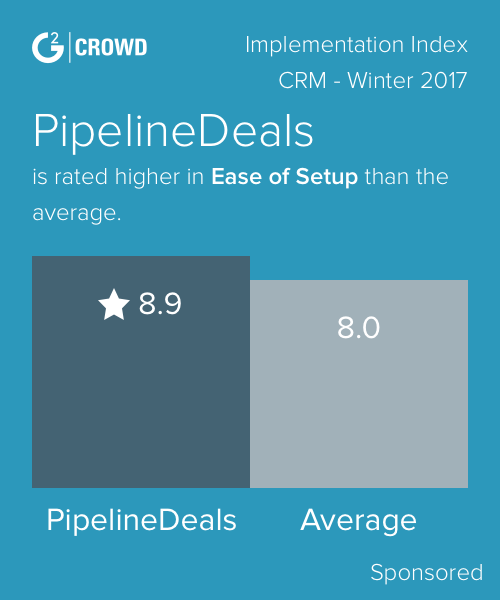 "Good crm to work on." I have worked on many crms during my working tenure but it had ease to work on. Simplified and user friendly. Search history feature is commendable. It requires extensive training and a dedicated trainer to teach tool. Overall good piece of software .Before getting it please make sure you have a dedicated training facility and trainer available . Reliable and easy to use after proper training. In my tenure of working with tool ,it never crashed and working speed was never a concern. Once a user is accustomed to the SAP setup CRM is easy enough to use. You either type in a transaction, search for what you need, or open folders to view drop downs. CRM requires a lot of clicking. I may be biased because our old software was all typing, no clicking, which tends to be faster, but once the user is more familiar with the system it is easy enough to over come. It is also not a truly global product and its integration with other SAP modules such as EWM and SCM is not complete. SAPs did not develop the modules together so the functionality that should be linked usually is not done properly and requires a decent amount of work from both launch teams and SAP develops to solve. If you are expecting a software which is truly integrated with the other modules necessary for the business look for a different product. Lots of work still needs to be done to integrate with warehouse and supply chain software. The Hybris Marketing tool/abilities I think is an awesome feature, that allows the user to fully optimize the marketing initiatives. The customer engagement under this program is amazing, and it allows you to fully target and organize your crowd . SAP can be used in a number of ways as well. There weren't many things I disliked about SAP, CRM systems is widely important in any organizations success. SAP provided a tool for organization and engagement grouping to a high end level. User friendliness is very important for the efficiency of anyone using a system, SAP provides that user friendly aspect that most managers are looking for in their operations. SAP has a great product in the CRM business. In recommendation, I'd highly encourage them to try their best to increase their footprint. Cloud computing and technologies are going to lead the 22nd century, have a great company position themselves, for an ease of customer engagement, stands to make a great deal of happy customers. SAP solves the CRM problem, as mention in the portion above, CRMs are a large part of an organizations success and that solves that huge problem most companies have. SAP also solves the problem of requiring multiple software and systems one might need to fully operation a customer engagement and and services tool, this allows one to stay organized with their clients. "Siguiendo de cerca a mis clientes"
Me gusta la forma en que le puedes dar seguimiento a las cotizaciones generadas, si se hacen efectivas puedes convertirlas en pedidos, te ahorra mucho tiempo. Los nuevos usuarios se familiarizan fácilmente. El control de accesos permitidos dependiendo de los usuarios, es excelente para evitar modificación de datos sensitivos. Aveces puede ser un poco complicado iniciar para usuarios nuevos. La generación de reportes es algo complicado también. Recomendado. Para organizaciones medianas, grandes, es excelente para una buena estructura en el negocio y muy buena organización. 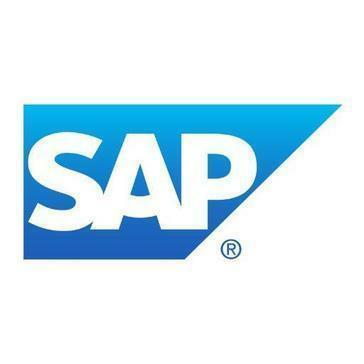 El SAP tiene mucho por explorar y enfocar de acuerdo a sus necesidades. Se pueden informes muy detallados, ya sea de ventas, facturación del día, pedidos, estado de los pedidos, entregas, para posteriormente pasarlo a una hoja de calculo y generar presentaciones muy completas alineadas a el negocio. Muchas de las transacciones permite la fusión y actualización de la información sin necesidad de entrar desde el menu principal. De muchas formas, mientras más aprendes, más tiempo ahorras y mejores resultados puedes lograr. Aumentar volumen de solicitudes atendidas. La capacidad de expansimiento del SAP es enorme, no te limitas a lo que tiene, puedes pensar y alcanzar mucho más. SAP CRM is a pleasure to use. It is a very reliable program and is easily integrated with other SAP modules, such as the ERP, and Business Warehouse (as we currently have in my organization). We have a complicated setup across numerous locations and countries, and our SAP CRM is able to handle these situations so that each region and country has clear data and functionality. Although I enjoy using the SAP CRM, there are many Sales people in our team who do not because they find it difficult to use. It is not always the most user-friendly, especially for new users. To be able to use the SAP CRM effectively, you need a lot of training and patience, and it helps if you understand how the software works. The most difficult thing for people to understand is how to make changes in the program and what they will affect. Making changes and testing is also very time-consuming and labor intensive. SAP CRM is a great program, but you must be comfortable using it because it can be overwhelming for beginners. If you know how to properly utilize all the functions that this software has, then it can be a great tool that will greatly improve your sales and marketing efforts. The SAP CRM handles our entire sales process and client management and is integrated with our other enterprise software. We use it for pipeline creation and forecasting, and to create and keep track of leads and clients. Without the SAP CRM software we would not be able to effectively run our Sales department, and our marketing department would greatly suffer as well. "Outdated GUI but gets the job done gets the job done"
The security the platform offers and its robustness in that area is a plus. "Not User Friendly, Contains Huge Amounts of Data"
I like the amount of information you can store in SAP CRM. It is (relatively) easy to search the database, and you can store search parameters if you want to. We take advantage of automated emails to help with the workflow in SAP CRM. I like that this pulls so much information from SAP. The interface is not intuitive, so it can be confusing if you are reviewing areas that you are not familiar with. I wish it could push information to SAP - as far as I know we can't do this. CRM runs very slowly at times and has a tendency to time out on occasion. It does not seem to be as stable as SAP. While it fills a void, I think there may be more products out there that are more user friendly. We keep customer complaints in SAP CRM. This allows anyone from the company to search and view them. It also pulls in a lot of information from SAP attached to the complaint. "Practical Functionality and Reliability "
I love the reliability of SAP, it would rarely crash on me. Helps with consolidating software to help promote productivity among associates. Not as useful as Salesforce but still a great alternative. Fantastic for case management and customer interactions. The analytics help with keeping track of product, vendors, and service providers. Load time to access the software was a bit long. Time consuming to launch software but once it is up we are good to go for the day. Also look into Salesforce as an alternative. As I previously stated, helps with tracking product, vendors, and service providers. To help improve out services and product sold through the store and service field team. "Open Source for Great Customization"
SAP allows for a plethora of add-ins, making it a great base software for several business units. As someone in finance, having the ability to create custom reports with sub-ledger capture makes for unlimited possibilities in tracking revenue and expenses. The user interface is quite unfriendly and the overall feel of the application is dated. When logging in, you may think you're stepping into an early 2000's program. What's under the hood is incredible, but navigating through each "T-code" requires a road map. Understand your GL hierarchy early and build correctly to avoid pain later. Everyday accounting - AP, AR, P&L & B.S. We extract actuals as well as input forecast into SAP, so it's a once stop shop for budgeting. The other add-ins utilizing SAP - Business Warehouse have allowed us to create several forecasting tools as well. IT is very very comprehensive. I feel like if you can think of it, SAP can do it. There are so many functions, abilities, builds, and options to work with. The information that it contains is awesome. While there are so many options, that also means that this is a very complex and sophisticated piece of equipment. Essentially, it is not always the easiest to use, and there can almost be too many options. "A useful system that you can tailor to your needs"
You can do so much with SAP and change it to fit the needs of your business. An example is a hard stop being but in when planning an order that requires a purchase order number be used to ensure that purchase orders get used on every order. The basics of how to use SAP seem simple, user friendly and straight forward really making SAP work for you takes a lot of know how. Spend time learning how to use this system and come up with ways to make it work for you. Catching duplicate POs via popup when a two of the same PO are put in is a very helpful way not to have those costly duplicates. "Sometimes Good.. Other times, Not So Much.. "
It was definitely a full-scale enterprise application capable of handling many aspects for a large company. It was also possible to make modifications to the platform which is very practical when a company has many business segments. From my experience, the major upgrades were not without pain not only in the short term but long term as well. Sometimes the impact was felt for months afterwards that severely affected FDA compliance issues, putting both the company and customer at risk. Working with tech support felt less than stellar. make sure to shop around. It was very helpful in allowing us to reformat our customer portal, which alleviated more traffic coming into the call centers and also allowed customers to see the status of their submitted cases, depending on the way the case was created. Its a robust programn however very easy to use. Once you know the ins and outs you can find any and all information with little to no effort. Until you know what you're doing itcan be overwhelming however with proper guidance and fiddling you can get there. Links emails and sales navigator which are other applications u run on a daily basis so it's easier to find out more information at a quicker pace. "Don't use for enterprise "
Nice to be able to forecast in SAP which has been helpful. But it takes to long and is clunky. Simple and clean, easy to use. The interface is pretty basic which lends well to usability. Buttons are kind of small, not much customization can be done. SAP is universal and used by many companies, so it's a good tool to be familiar with. The interface does not always work the same as other platforms (ability to right-click, double click, etc.) but overall it's pretty easy to use and there are shortcuts to accessing the areas you need. Great for billing and reports. Downloading and exporting reports is easy. There is so much data storage capacity on this software that it is a one-stop shop for everything you need for a project. I am on SAP CRM almost daily to download proposals and budget sheets to review upcoming projects. I am not really fond of the interface as it is not user-friendly and often crashes in the middle of downloading spreadsheets or documents. SAP CRM allows us to store and keep track of customer data such as proposals, emails and budget sheets that everyone can access to. It is also a resourceful tool for us to look up past data when needed. No one seems to know how to use it. No one is following the same business rules. And it keeps changing the configuration. It was supposed to combine a variety of other databases. However too much programming is getting done on the fly so no problems are getting resolved. Once you know how to use it, it's easy to use. It holds a lot of customers and organizes it easily. It can be easily searched and narrowed down if you're looking for a specific search field. It's not intuitive. It takes a while to become comfortable with the format and understand how to use it. I love the way you can get ALL the info that you need to get within one program. Once you learn the keys you can get around the system so easily! It is hard to learn all the key codes to access different areas of the system. Learn the key codes first. We have solved inventory issues with SAP CRM so easily and effortlessly. All you have to do is print reports and you can see errors immediately. "Old and Outdated CRM from SAP"
One of the good features of this software that I liked is it's call center management. Another pro is that, since it is a SAP product, it has powerful integration with other SAP systems. It's social media integration is problematic. Frankly, there is not much I like about SAP Customer Relationship Management. It can be considered as a key component of SAP Business Suite. Our marketing, sales and the after-sales departments had trialed this software to get leads, and for tracking sales and cross sales and as an interface between our technical teams. That's where I came in and this was version 7.0. But, we had to give it up since it had a poor user interface in comparison to many other CRM software's. We eventually settled on SalesForce. If you aim on planning on getting cloud systems or SaaS and if you have multiple SAP products, I'd suggest it is better to get either SAP Hana or SAP C4C. Else, SalesForce it is. Since we had multiple SAP products, it was easier to working and integrating it with our current environment. "SAP CRM is a great tool!" I really liked how the SAP CRM integrated easily with my customer's systems and how easy it was to run reports. There was not much to dislike, I only wish it was a more affordable platform so more of my customers could use it too. Maybe if they made simpler versions at a lower cost, that could be really beneficial. Do a data clean up to the best of your ability before switching. It makes a world of difference! I am able to complete reports for my customer and extract them to an Excel spreadsheet with ease. I like how well it works with Office because all of my customers are able to use my reports. "Very useful and top notch "
It runs smoothly for our every day Work, runs smoothly very easy to learn, tracks fast and easy to navigate. Can be boggled down when others are on at the same time. Wish you could set up things of your own settings Better. We are cruising through our ordering processes day to day for this. We use to process, invoice and others. "SAP CRM - A powerful CRM Application"
SAP CRM was a trend setting product which ushered in SAP's entry in the CRM Market. With its fluid UI, ability to provide operational reporting, seamless and intelligent integration with ERP and BW it is a superior CRM product in the market for heavy users. The UI was path breaking from SAP's GUI and gave a fresh look at what SAP was capable with front end. The dynamic charts and graphs which came with search were very well appreciated by the end users. The Product itself was quite complete for CRM portfolio in sales and account management the Outlook integration and Marketing functionalities were a little buggy and were not very user intuitive. SAP was slow in adapting this product to the cloud era and a mobile friendly front end. If you have SAP ERP as the backend then SAP CRM is the best choice for getting the synergy benefits. The Opportunity management and Account management is very smooth giving sales reps a 360 degree view of the customer. SAP CRM should be deployed for managing the heavy tasks of Customer relationship management, Marketing and Service. Customers considering other cloud based CRM solutions should keep in mind the integration efforts and loss of seamless data about Customer Order history and Lifetime Value during the sales process. Customers who require a lightweight front end should consider the mobile app accompanying SAP CRM or Cloud for Customer which gives the flexibility the sales reps on the move need. For Service Customers SAP CRM has excellent features like Multi Resource scheduling, dynamic matching of service needs with competences and skill of service resources etc. SAP CRM was used to manage New Business(Opportunities), Farming Business( Keeping existing clients through Continuous improvement programs), and also measuring Lost business for calculating market share. SAP CRM opportunity management was able to provide a solution for recording and analysing all of the above. Opportunity management process was done using various excel sheets and manual tasks which was highly simplified with SAP CRM including integration to the order management solution in SAP ERP. "SAP CRM to manage customers"
I like how the program is easy to use and stores all the information I need. It is nice to access customer's information and see what a previous salesman did before me. The program seems to lag a bit but maybe that is just our internet connection. SAP CRM is a well rounded program and makes it easy to manage your customers. It also allows other to see your progress and also see things that have stalled which offers them a chance to suggest something else that may be successful. Aside from sales I also do some technical support. I like being able to track customer issues because sometimes people try to claim the same problem multiple times and CRM makes it easy to track. "Massive database with more information than one person could possibly need. " SAP has every piece of information we need about students all in one place. If you know how to use SAP correctly, you can access information quickly and easily. If you don't have exactly the right "permissions" it might be a challenge to find what you're looking for. It is important to know what your job will require of you before you start using SAP or you will run into roadblocks along the way. Find adequate training and an administrator who is very fluent in the languages of SAP. If it were not for pretty extensive training and an SAP Administrator who knows the ins and outs of the program, I would not be using SAP as easily as I do today. Understanding certain codes and filters makes finding information and pulling reports much easier. Multiple offices and departments can add and update information. It cuts down on calls and emails between departments when all of the information is one central location and it can be constantly updated. Hard to answer, maybe the fact that you can export data - because once you're working outside of the CRM system, things become much easier. How clunky it is, how slow things happen, how difficult it is to get things done quickly. Think long and hard about this. Ask to preview it, and make sure you preview other leading competitors like Salesforce. The fact that it is slow and burdensome for a salesforce to utilize on a daily basis. Great program and reliable. little difficult to use at first without any background in these programs. Difficult to use and may require spending time learning the system. Can be a very useful program, but can be very mindblowingly overwhelming to new users. especially with ones that arent that familiar with computer systems. Handles sales process better than we thought we could without using it. Very effective with no glitches. "Good if you are an expert, have training, and have developers to support customization"
Make sure you purchase the correct interface, it has cloud support, entire team gets trained, and you have a large group of SAP developers who can support the product post implementation! "Works well for customer relationship tracking "
I would recommend SAP CRM to other small companies that need assistance with tracking leads, contacts, and managing customer relationships. "Not user friendly, but does a lot "
SAP CRM is powerful, versatile and customizable. It's proven very useful in tracking activity with our customer and in gathering historical data that can help us grow our accounts in the future. I also like that it can be accesses remotely. Like many SAP applications, it's not exactly intuitive or user-friendly at first. There is a reason SAP has become so widespread in the business world. SAP CRM is solid and will help you manage your customers for many years. Best for middle-sized and large businesses, though. We can keep better track of our sales and customer interactions, which helps us solve customer issues, as well as plan our sales strategies more effectively. "Hasn't kept up with the times"
It's SAP so you likely have other SAP systems that will make any learning curve with SAP CRM easier. There are some oddities with the CRM platform that are somewhat different from the normal EPR/BW and other systems. The technology looks dated in the case of CRM and competitors are more attractive. Look carefully at the competitors and determine whether the direction the vendor's roadmap is heading is compatible with yours. Our help desk leverage a fair bit of the Customer Interaction Center so it's very helpful there. It provides a common platform for this and other functions with customer facing portals. This system works best with capital sales. It is NOT meant to be used for a rental business. It doesn't have much in the way of automation. If you're in the rental business, do not use it. If you use it for primarily sales and you aren't a large company it may work for you. Honestly, I didn't like the system at all when I used it at my previous job. "Call center ticket tracking at it's best"
The greatest part of SAP CRM is that it is very easy to use. The search menus are easy to navigate and very easy to populate each field through a sub search. The knowledge management section is very nice for keep knowledge documents which can be a great resource to troubleshooting problems which commonly occur. What I dislike is the navigation of each page in the program. It is web based, so at times, you will forget and use the browser back button instead of the set back button in the program. Another feature I dislike is the interaction feature, I do not find it useful and also finds that it will double your database size unnecessarily. Overall, SAP CRM is a great tool to track your call center tickets and incidents. It also is a great tool to track commonly used knowledge documents. We've solved the ability to track, report and log all help desk tickets with intergration to our ERP software. This has been a great benefit, especially when running analytics against tickets. "CRM solution for monitoring pipeline"
The interconnectedness of the "business partner" functionality; it gives you the ability to see all the 360 view of the relationship between a contact in the CRM with the ERP. I enjoy being able to pull different financial reports for budgeting. It shows you all types. Such as YTD, MTD, you can break it down by cost center. Plus when it comes time for budget, we can load it into SAP and make changes if need be. I dislike that on certain computers we have to delete all our internet options and then redo them so that it will load. Financials mainly. Able to look at past trends to see where we have used $$ and adjust for next budget. The best part about SAP CRM is the its multiple layered architecture that provides feedback to the layer above it. All layers are somewhat dependant on its lower layers and you can extract data based on that. The power and efficiency of SAP CRM. Employees love to use it ! It seems to be quite expensive to maintain ! It improves the relationship with the company's customer. It eases the management of these relationships through the use of clear dashboards. "SAP CRM is efficient and easy to use!" I really like all of the different reporting options that SAP CRM has to offer. It is very customizable so you can make reports for anything you could need and export it. I dislike that the user has to purchase a number of licenses. I would like to see it be unlimited. Do a data clean up before and right after implementing. Also, make the most out of the reporting features. I am able to send more detailed reports on open orders to my customers. They are able to view my reports in Excel and make any changes as needed. "Useful when you know what you're doing"
I like how much can be done with it, especially with custom transactions. Not initiative. There's no way to find out what a new transaction does/how to use it without being shown by someone else. Have a good SAP architect. We use it to track internal product mocement, allowing us to narrow down any issues with our process flow. "It's a very easy system to use"
I can't really think of anything I don't like about it. I like that SAP CRM allows you to search old quotes, orders, etc for your customers, and that it is easily linkeable to Salesforce. I do not like how outdated and old the SAP CRM platform looks like. It is kind of an eyesore. SAP CRM allows me to quickly quote products for my customers, as well as process orders. Since it uses an all flash memory array the pinwheel is a staple. I would like for some of the flash apps to not time out. SAP CRM covers an organization on a MACRO level, so GEOs can communicate thoroughly without delay. "Excellent system, it takes some implementation but well worth it." There is nothing it cannot do! There are tasks it seems unable to do when starting out but once immersed in the system you realize these can be done. You certainly have to think the way the system thinks to use successfully - but then most software is like that. Easier reporting and forecasting and better all-round capabilities. "We have had this product implemented for nearly 10 years ... CRM 7.0 EP2.2"
The SAP CRM product integrates nicely within the end-to-end order-to-cash processes that we utilize. With this integration it eliminates redundant data and need to develop translation of data values. The Account Planning is cumbersome. Our company required the visibility of an Account Managers complete plan for a customer based on his/her bag. So we were not looking for individual promotions built independently and then joined together thru reporting ... wanting that visibility during the planning process. What was described in the dislike area we have built an Account Planning front-end to expedite planning process. "Possibly the worst software out there"
Literally nothing about this software is even remotely good. I dislike everything about this program. Takes FOREVER to load, and I'm wasting a lot of my day staring at the spinning circle screen. There's a lot of "backend stuff" with this product that takes our sales support team to resolve. If you make an error at any point while using it, you have to start all over. Just an overall crappy program. Don't use it. Salesforce is a far better platform and much easier to use. I make configurations of laptops in this program. This is how we sell custom skews to customers. "It is the best management program I know ... and I have used many." It allows to perform many tasks in a simple way, facilitates and speeds up the work a lot. When you master it, the program makes you more productive. With this program you have the feeling that you will never know it at all. Sometimes it can be too complex. using SAP you do not need any other management system. process data with incredible speed. * We monitor all SAP CRM reviews to prevent fraudulent reviews and keep review quality high. We do not post reviews by company employees or direct competitors. Validated reviews require the user to submit a screenshot of the product containing their user ID, in order to verify a user is an actual user of the product. Hi there! Are you looking to implement a solution like SAP CRM?